At first there was Antennagate, then Scuffgate, Mapsgate and now there’s bendgate. Plenty of iPhone 6 and 6 Plus users are reporting that their devices are bending upon prolonged time spent in their pant pockets. 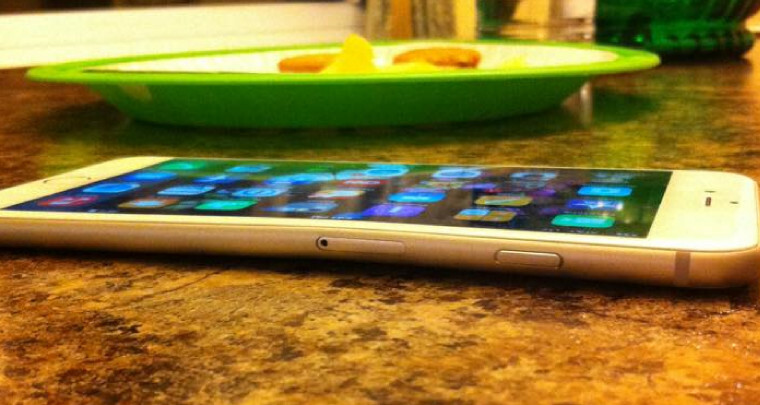 Earlier today, users started posting pictures of their bent iPhone 6 and 6 Plus on various Apple forums across the web. Seems like the new iPhone 6 and 6 Plus, as it’s made of aluminum, cannot take a lot of pressure and can bend. Most users have been noting a slight bend on their new devices in the areas of the volume button and the sim tray holder. Why? Well, these are the weakest points of the iPhone and yes aluminum can bend. Both the iPhone 6 and 6 Plus are very thin and the taller size aid in the bending. Most users have been noticing the bending after the iPhones have spent some time in their pockets. It is highly possible that if you’re wearing tight jeans or have placed your iPhone 6 awkwardly in your pocket, overtime, it could bend slightly. Make sure you don’t keep your iPhone 6 Plus in your pocket for a long period of time. Anyone facing the new bentgate problem with their new iPhone 6 or iPhone 6 Plus? its a new innovation of apple!!!! permanent bent phones!!! !